Sara Janes is an appellate lawyer who has successfully handled appeals in both state and federal courts. In addition to these matters, Sara is involved in strategy and briefing at the trial level, including dispositive motions and other pre-trial and post-trial motions, trial briefs, jury charges and legal memoranda. 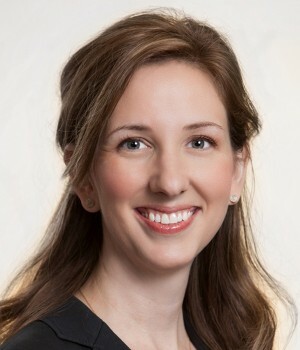 She has trial, arbitration and appellate experience in a variety of substantive and procedural subject areas, including labor and employment, complex contract disputes, trade secrets, complex divorces, class actions, health care, pharmaceuticals, trademarks, and insurance. She has also provided pro bono representation at the trial and appellate level to immigrants seeking asylum in the United States. Obtained reversal of a 12(b)(6) dismissal in a multi-million dollar fraud case. Successfully defended the dismissal of a False Claims Act suit on appeal. Successfully defended a summary take-nothing judgment on tortious interference claims on appeal. Successfully defended a jury verdict against Batson challenges. Obtained reversal of trial court’s denial of a motion to dismiss a health care liability case. Second-chaired successful defense of employer in retaliation case; obtained award of attorneys’ fees from plaintiff. Successfully obtained asylum for Nepalese immigrant fleeing torture; successfully defended grant of asylum on appeal. Successfully defended a federal trial court decision in a Hague Convention international child abduction case.